Across the world, the concept of interior design is forever changing and reinventing itself—even among the oldest countries in the world. Japanese designers are constantly finding new ways to mix traditional styles with emerging trends, while always preserving one core principle: achieving harmony with the space and materials used. This design philosophy is often simplified as Zen, and "simple" is the keyword. Using earth-tone colors, natural materials—such as wood and paper—and ensuring nature can be seen throughout the home (in the form of decorative plants or windows that welcome ample amounts of sunlight), the home should feel like a place to unwind and reflect, without clutter or chaos. However, chances are you live in a modern home or apartment and can't make any structural changes. 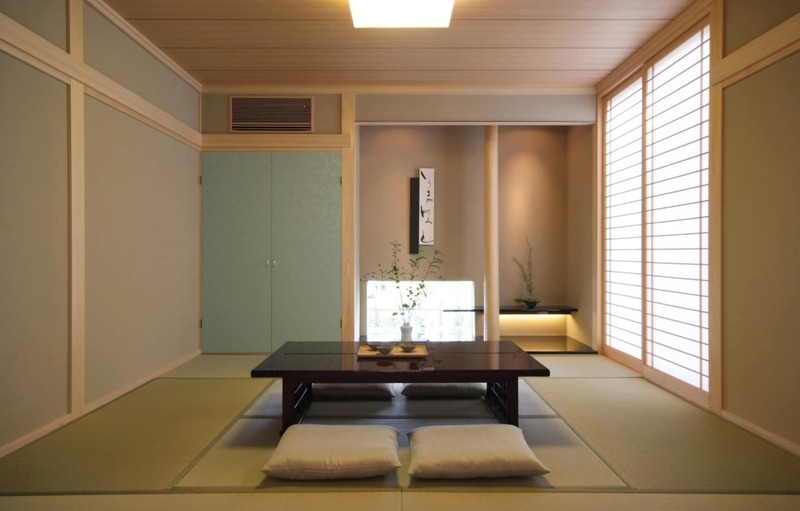 So let's walk through a few steps you can take without ripping down your walls to make sliding shoji doors or tearing up the flooring for tatami mats. First, and foremost, you'll need to declutter your living space. Simply organizing your necessary items and getting rid of the things you don't need will instantly invite peace into your home and allow you to focus on what's really important. Next, you'll need to make sure you're welcoming nature into your home. Plants are a fantastic way to not only add a little color to your space, but they also help improve the quality of air in your home and, let's be honest, they look great when they're thriving. Of course, there are various options to consider when you're shopping for plants, taking into account the size of your room and the amount of sunlight your home receives. If you want to create a decidedly Japanese look for your home, you can't go wrong with a bonsai tree. The rich history and ancient aesthetic of these darling plants will certainly bring the essence of nature into your home. Once you've cleared your space of any mess and added a bit of greenery, it's time to accessorize. Minimal decor doesn't equate to an empty house, and you've got to incorporate a few elements of style to personalize your home and make it feel more inviting. In a typical Japanese home, there are many ways to create character through objects, from vases and woodwork to knickknacks and bric-a-brac. If you're looking for inspiration, how about a small statue such as a Daruma? The statuette pictured above is a modern take on the traditional wooden doll, and is sure to bring as much luck as the round, red variety. It'll surely be a conversation piece in any room! If you're looking to spruce up any exterior areas, such as your patio or even a balcony, let the wind create a gentle song just for you with a furin (wind chime). Believed to help you feel cool in the hot summer, a classic bamboo wind chime will add to your outdoor appeal and soothe your stress away. Finally, applying the concept of Zen design for the home doesn't mean taking away the elements that mean a lot to you. It's actually possible to get creative and find gorgeous and classy items that still show off your passions. For example, designers who happen to be old-school gamers might love this floor rug that features the classic game Space Invaders. The most important aspect of following Japanese design is making a space that's comfortable, clean and connected to nature. This harmony can only be created when it's a true reflection of your personality. Need some things to Japanify your home? Why not try a few of the options below! 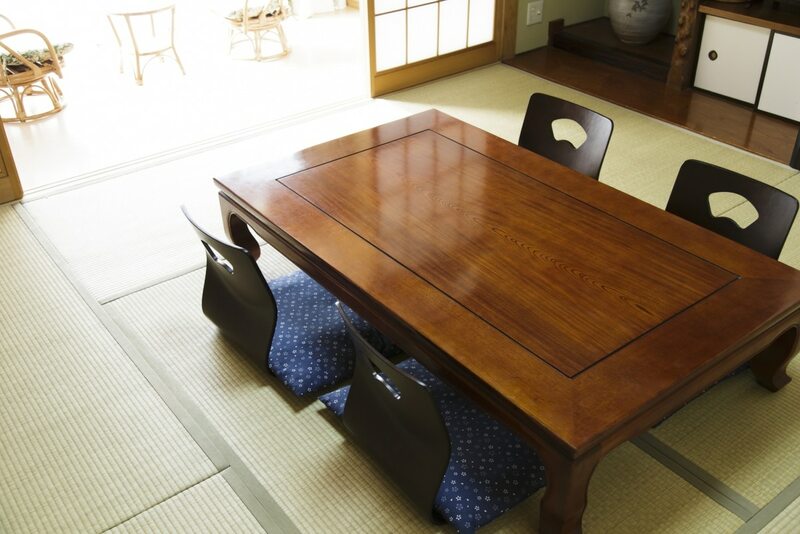 Japan is known for producing quality products, from traditional handicrafts to modern goods. 100 Japan is a collection of representative Japanese workmanship ranging from beauty and fashion to kitchen goods and home decor. Add a touch of Japan to your day-to-day life—straight from our shores! Can You Survive the Optometrist's Maze?